Thai Modern Rock band Slot Machine has been preparing the launch of their first English album, and are proud to announce an exciting co-operation with Apple Music. The streaming music service will exclusively launch Spin The World on May 13th. The album features 10 knockout tracks which can also be purchased from iTunes. 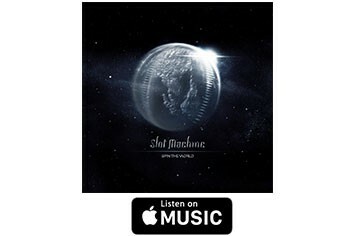 Support Slot Machine by listening to and downloading the Steve Lillywhite-produced Spin The World exclusively via Apple Music and iTunes this lucky Friday the 13th of May.